Congratulations! Your hard work is paying off. 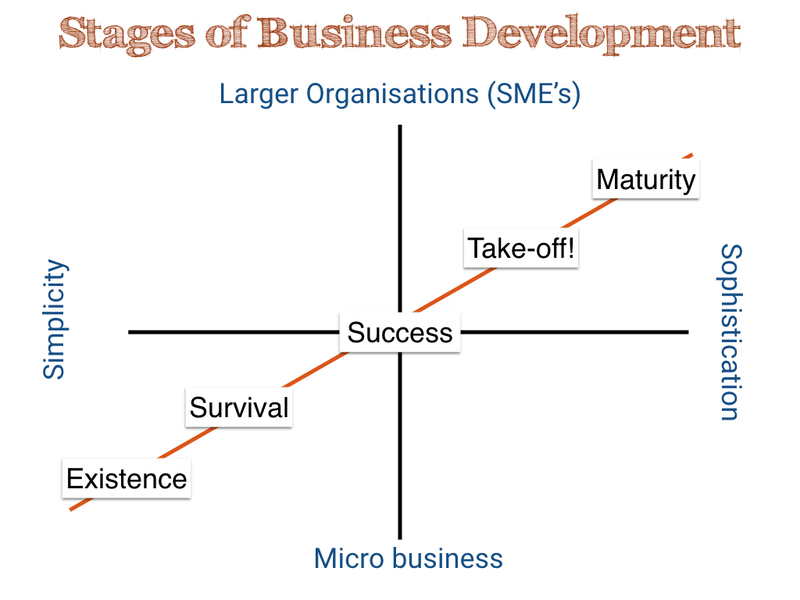 Your Business Diagnostic indicated you are in the Success Stage of business development. The next step in your growth is to move onto the Take-Off stage. Strategic planning is a high priority. In formal planning, ensure clarity around measures and then measure performance against plan with a view to constant improvement. Be aware, though, that formal planning doesn’t mean fixed or written in stone. Pay attention to the VUCA environment we live in. Your planning needs to be sufficiently flexible to change in light of exponential change around us. In uncertain times, having and living by a Purpose for your business is even more critical. It is the one certainty. Purpose also fuels engagement and motivation. The owner may disengage from the business, recognising that others may be better qualified to run the business for the next stage which is Take-off. Stay in touch with your clients. Ensure they remain the centre of your organisation. Regularly seek their feedback on their experience of working with you. Invite them to collaborate in developing new products or services. Keep feeding the pipeline as even the most loyal clients move away. The business is likely to have some level of decentralisation so it’s important to keep the channels of communication open to discourage the formation of silos. Bring specialist functions into the business. A Chief Financial Officer, HR Director, Chief Marketing Officer, Chief Operations Officer as examples. Explore organisational structure alternatives and select one that best meets the needs of your business model. Continue to develop and refine systems and processes to improve the efficiency and effectiveness of the business. or simply email me on suzanne@purposetoprofit.com.au for a chat.